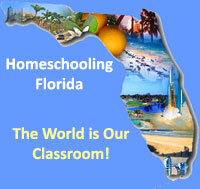 North East FL Homeschoolers – Don’t miss the HERI convention! Mark your calendars to attend the annual HERI convention, June 28 & 29, 2013. It’s fun for the whole family! Broward County Family Events – Can You Say “Field Trip” (or perhaps a reward)?